Living in Ireland during the mid 17th century was a frightening and a bloody time. Following the extreme political crisis that resulted in civil war in England, Ireland was plunged into a period of despair that would lead to the demise of the ancient Celtic fiefdoms, and a vigorous attempt to reconquer the hearts and minds of the Irish people. 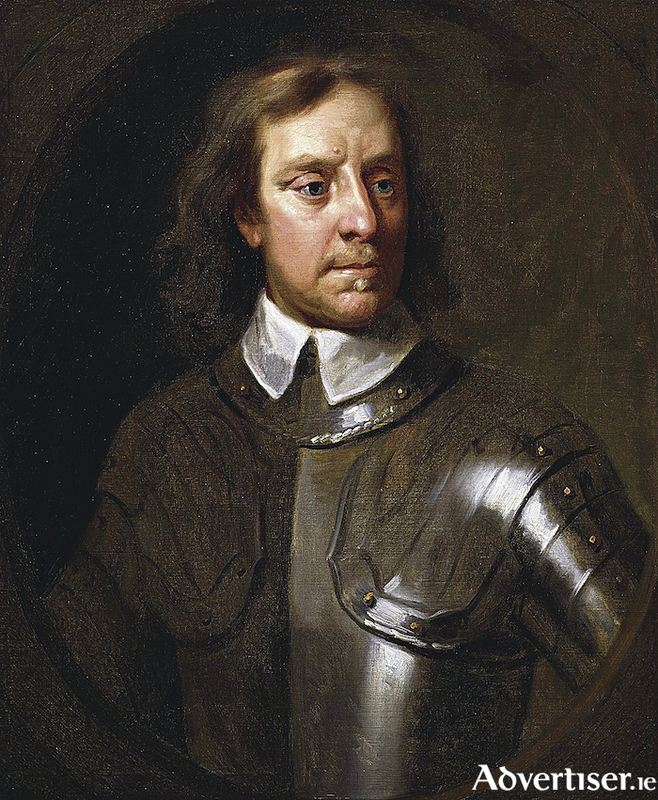 The invasion by Oliver Cromwell’s New Model Army, a ruthless exterminating machine, in 1649, led by Cromwell himself, not only destroyed all military opposition, besieged and ransacked towns, and imposed harsh penal laws on Catholic survivors, but it changed the demographic of the cities and lands with the resettlement of faithful Cromwellian generals, and their families. And in a new twist, tens of thousands of Irish people were transported to plantations in the West Indies, and elsewhere. Fearing just such consequences, there were moments of exhilaration in Ireland when eight years before Cromwell arrived, many of the leading Catholic families rose up in rebellion. They had sided with the ill-fated King Charles I, and following his arrest and execution, they knew there would be consequences for their support. For a time, a Catholic Confederation became the de facto government for the island in Kilkenny. The Irish rebellion was controlled and restrained in most places. But the rebellion was wildly out of control in Ulster, where savage revenge was inflicted on both long-time established English Protestants and Scottish Presbyterian planters. It is said that Cromwell’s cruelty was prompted by slaughter of these settlers. He besieged Drogheda, commanded by Royalist Arthur Aston. Cromwell demanded that Aston surrender. Aston refused. In the ensuing battle, Cromwell ordered that no quarter be given, and the majority of its citizens were put to the sword. Aston was beaten to death with his own wooden leg. Meanwhile Walter Lynch, who had studied for the priesthood abroad, had been appointed warden at St Nicholas’ Collegiate church for several extended terms. * Two years before Cromwell’s invasion he was appointed bishop of the neighbouring see of Clonfert. News of the rapid success, and advancement of Cromwell’s army, the sacking and killing of several thousand soldiers and civilians in Wexford, the surrender of other Irish towns, must have created widespread alarm. Bishop Lynch, with many others, took refuge in his native Galway. Unlike Drogheda and Wexford Galway was a wealthy town, and had built extensive modern defences which it was believed could hold out until favourable terms were achieved. Under the command of Charles Coote, the Cromwellians surrounded the town until a combination of hunger and disease forced it to surrender in April 1652. The so called ‘Empty Frame’ which is still evident in the Lynch chapel today, is supposedly where the icon was placed. With the icon safely in his hands Bishop Lynch escaped from the besieged town taking refuge at the garrison on Inishbofin, still in Royalist hands, one of the last places of resistance. But that too was a lost cause. It surrendered to Cromwellian forces the following February. Surprisingly mercy was shown. The garrison was allowed to sail away unharmed to Flanders, and from there to Brussels - as the internuncio reported to Rome April 26 1653. It was said, however, that the Galway bishop was ‘living in great need’. In the course of the following year, Bishop Lynch arrived in Gyor, Hungary, where, as I said last week, he was welcomed by its bishop, given a home and pastoral duties. If the legend is true that Bishop Lynch escaped from Galway with the precious icon in his possession, then it was fortunate that he did so. When the Cromwellian soldiers entered the church, they proceeded to smash the faces of the statuary; vandalism that can still be seen today. If the icon had remained then it would surely have been destroyed. NOTES: *St Nicholas’ Collegiate Church was founded in 1320, and dedicated to St Nicholas, patron of mariners. **Also known as Lynch’s Aisle, owing to the generous donations made through the generations for improvements and additions by the Lynch family. Sources include Consoler of the Afflicted, published by a number of bodies including the municipal council of Gyor, Galway city and county councils, and St Brendan’s Parish, Loughrea.